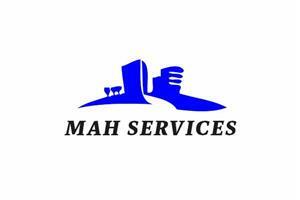 MAH Services London Ltd is your local building, decoration, plumbing, heating and gas services company. MAH Services have an extensive experience for over 10 years in the plumbing and heating industry and our engineers are renouned for their professionalism and excellent worksmanship. We are delighted to offer you an exceptional service at competitive rates. MAH Services LLondon Ltd prides itsellf on its local reputation and execellent ongoing relationships with its customers, long-standing customer relationships are of the utmost importance to us, it is our promise to deliver quality and efficiency to home owners, landlords, small and medium size business owners across London. MAH Services is Fully insured, and we continue to be focussed on offering our customers outstanding product knowledge. We have the very highest standards when it comes to our service delivery; we endeavour to go the extra mile to keep all our customers satisfied and, above all, happy. Our engineers are among the best in the industry, MAH Services London Ltd have a strict policy in place regarding recruitment, and will not hire anybody who does not meet our high standards with heavy emphasis on Customer Service Skills, Qualifications, Experience and Attitude. Our attending engineers will arrive on time in full company uniform, identity badge and company vehicle carrying a wide variety of building,plumbing and heating spares in order to maximise first time repairs for our customers. Chelsea, Fulham, Greater London, Hammersmith, Kings Road, London, Parsons Green, Richmond, Wimbledon.